Start off your visit on the 30th (Thu): tee off at Waitangi Golf Club, then take in nature's colorful creations at Waitangi Treaty Grounds, and then soothe aching muscles at some of the top local wellness centers. For maps, photos, other places to visit, and tourist information, read our Paihia trip planner . Kuala Lumpur, Malaysia to Paihia is an approximately 17-hour combination of flight and taxi. You can also do a combination of flight and bus. You'll lose 4 hours traveling from Kuala Lumpur to Paihia due to the time zone difference. Finish up your sightseeing early on the 30th (Thu) so you can travel to Auckland Central. Kick off your visit on the 31st (Fri): brush up on your military savvy at Auckland Museum, don't miss a visit to Sky Tower, and then stop by Pauanesia. To see photos, more things to do, maps, and more tourist information, go to the Auckland Central trip builder . Getting from Paihia to Auckland Central by combination of taxi and flight takes about 3 hours. Other options: drive; or take a bus. May in Auckland Central sees daily highs of 17°C and lows of 17°C at night. Cap off your sightseeing on the 31st (Fri) early enough to go by car to Rotorua. Get out of town with these interesting Rotorua side-trips: Taupo (Huka Falls tracks & Adrenaline & Extreme Tours) and Hobbiton Movie Set (in Hinuera). The adventure continues: take in the natural beauty of Wai-O-Tapu Thermal Wonderland, have some family-friendly fun at Fancy Meow Cat Cafe, look for all kinds of wild species at Redwoods Treewalk, and pause for some serene contemplation at St. Faith's Anglican Church. To see photos, maps, traveler tips, and other tourist information, use the Rotorua route builder app . Traveling by car from Auckland Central to Rotorua takes 3 hours. Alternatively, you can fly; or take a bus. Plan for a bit cooler nights when traveling from Auckland Central in May since evenings lows in Rotorua dip to 11°C. Finish up your sightseeing early on the 3rd (Mon) so you can travel to Wellington. 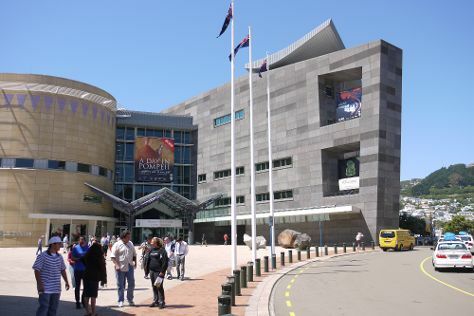 Start off your visit on the 4th (Tue): take a memorable ride with Wellington Cable Car, then admire the natural beauty at Wellington Botanic Garden, then take an in-depth tour of The Great War Exhibition, and finally see the interesting displays at Museum of New Zealand (Te Papa Tongarewa). To see traveler tips, maps, reviews, and tourist information, refer to the Wellington attractions planner. Traveling by flight from Rotorua to Wellington takes 3 hours. Alternatively, you can do a combination of bus and flight; or drive. In June in Wellington, expect temperatures between 15°C during the day and 9°C at night. 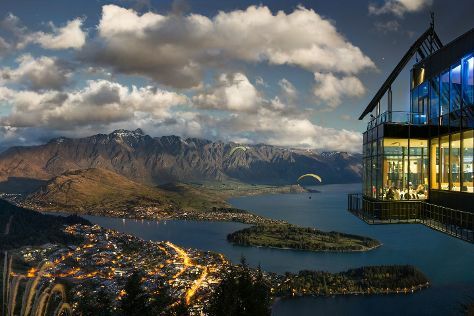 Finish up your sightseeing early on the 4th (Tue) so you can travel to Queenstown. On the 5th (Wed), race across the water with a speed boat tour, then take in the exciting artwork at Silver Fern Gallery, and then get your game on at Skyline Queenstown. On the 6th (Thu), you'll have a packed day of sightseeing: have some family-friendly fun at Dark Ride, then get the adrenaline pumping with an extreme tour, then relax and rejuvenate at some of the top local wellness centers, and finally see the world from above with a helicopter tour. Quickly create a custom-made itinerary for Queenstown using our trip planner. You can fly from Wellington to Queenstown in 3.5 hours. Alternatively, you can do a combination of flight and bus; or do a combination of ferry and car. Cap off your sightseeing on the 6th (Thu) early enough to catcht the bus to Te Anau. Take a break from Te Anau with a short trip to Bowen Falls in Milford Sound, about 1h 05 min away. On the 8th (Sat), hike the day away at Routeburn Track. 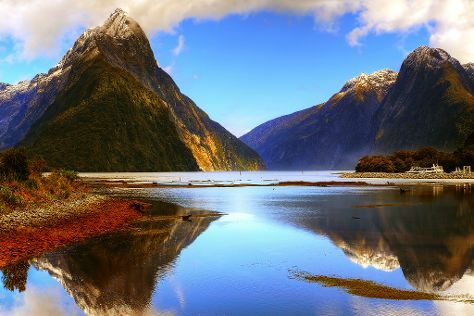 The adventure continues: explore the activities along Milford Sound, trek along The Chasm Walk, Head underground at Te Anau Glowworm Caves, and identify plant and animal life at Doubtful Sound. To find more things to do, reviews, photos, and tourist information, read our Te Anau trip planner . Traveling by bus from Queenstown to Te Anau takes 3.5 hours. Cap off your sightseeing on the 9th (Sun) early enough to travel back home.